One easy way to save money is to buy things when they are at their lowest price of the year. Every month, there are certain products with reduced prices. Here are some suggestions about the best things to buy in March. Stores that have Valentine’s Day candy leftover from the holiday will now sell it at a greatly discounted price. Check your local grocery store to see what is left. The heart shaped boxes are still pretty after the holiday is over. You might also find inexpensive Valentine’s Day chocolate on the website of companies that make chocolate. The trick is to make sure you don’t buy more than you and your family can reasonably consume in a short time. Restaurants, cafes, and fast food places typically offer a special St. Patrick’s Day freebie or special deal on March 17. Some of them are for one day, only. Others last through the weekend after the holiday. You can expect some of these offers to be “buy one get one free”. The day after St. Patrick’s Day is the best time of the year to purchase St. Patrick’s Day decorations, t-shirts, hats, and arts and crafts projects. All of them are going to be on sale. Store them away and use them next March. 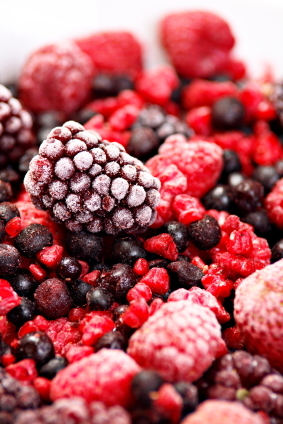 March is National Frozen Food Month. This means you will find plenty of coupons on frozen food items. Some of those coupons will be in newspaper inserts or on coupon websites. Other coupons will be found at the grocery store in coupon dispensers or on the frozen food products themselves. Stock up now, and save money later. Companies that make household cleaners are competing against each other for shopper’s attention. Check for coupons at your favorite coupon resources before shopping. This is when many companies release a new scent in an existing cleaning product line. Often, companies will offer a discount on a new scent to entice customers to try it. The hot, new, video game title that you had your eye on in December is likely to be on sale now. There will also be sales on game systems and accessories. For the best discount, take the time to do a little price checking. GameStop, Best Buy, and Amazon might have different prices for the same game. Pick the one that is least expensive.